Manama, Oct. 12 (BNA): Justice, Islamic Affairs and Endowments Ministry Undersecretary for Islamic Affairs Dr. Farid bin Yaqoub Al-Muftah hailed deep-rooted historical relations between Bahrain and Egypt. He was speaking at a meeting with Advisor to the Egyptian President and House of Representatives Religious Affairs Committee Undersecretary Dr. Osama Al-Azhari who stressed strong and growing relations between the two countries. 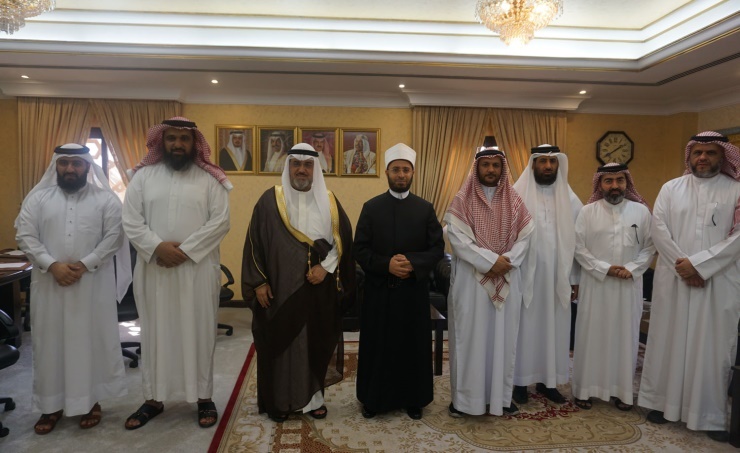 Dr. Al-Muftah affirmed keenness of the leaderships on boosting bilateral relations to serve the interests of the two brotherly peoples, pointing out the great care given to religious affairs given their role in promoting the inherent civilisational Islamic thought. He also commended keenness of the Egyptian President to promote the moderate Islamic ideology, preserve purity of Islam and fight terrorism, extremism and sectarianism.